Electron Consortium JSC has a working quality control system and is ISO 9001:2008 certified by Bureau Veritas. 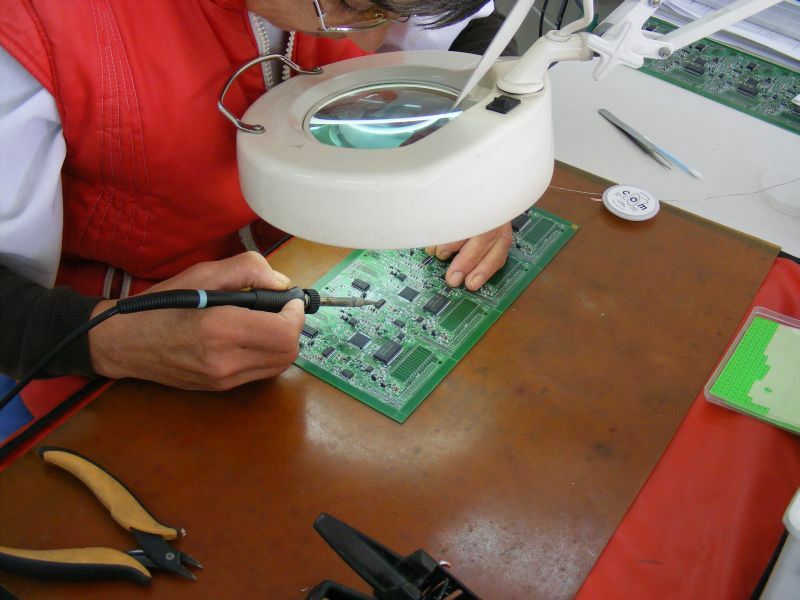 The assembly includes SMD and conventional (THR) assembly. The production line has a possibility to take limited series, as well as mass production. The production equipment allows flexibility and fast change of the produced items. 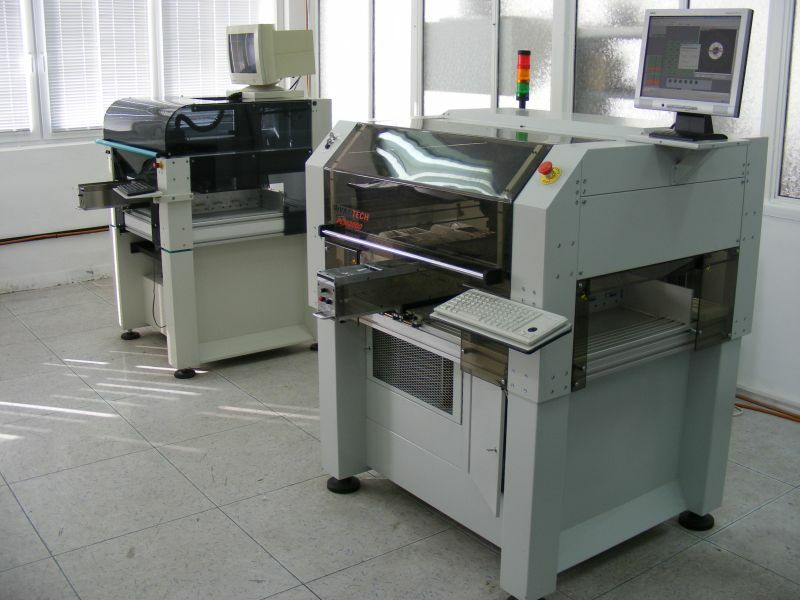 REFLOW - SMT 2000 - Microprocessor controlled preheat/reflow station. REFLOW - TWS-1200 from TWS automation CARRARA - ITALIA, 5-zone with air convection. Organization: The company makes the whole technological preparation from the file of the PCB, which includes the information about the placement of the components and the corresponding mark and value/type of the component. production of a metal template for placing solder paste. making an assembly program for the automatic placement machine (Pick&Place file). colored templates for control and others. Minimum size of a component we have used - 0402. 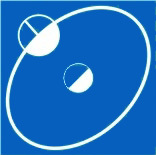 Minimum raster (grid) of a multi-lead component like TQFP - 50 μm. Our company works with materials only from reputable companies. flux type “RMA”, No-clean from KESTER for soldering precise leads with small raster and for repairs. 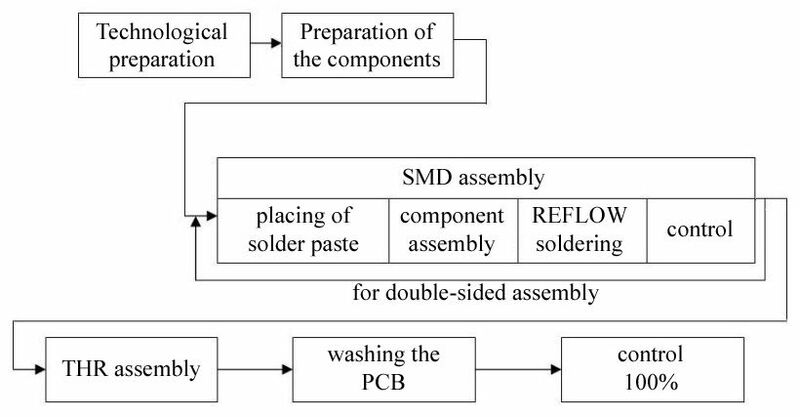 The metal template for placing solder paste is produced for both ways of doing SMD assembly – for the automatic placement machine and for the manual assembly. The price is different for each order and is affected by the quantity, difficulty, need for technological tools, etc. Our company has developed and introduced a lead-free technology for PCB assembly and takes orders for our foreign partners. The materials used - solder paste and solder wire - are LEAD-FREE. Our equipment allows the execution of the technological processes. We have facilities (small climatic chambers and a vibration stand) for temperature cycles and mechanical stress testing of PCBs, modules and assembled devices and we regularly carry out such tests for some of our customers. Both producers have guaranteed internal electric test (E-test) of the PCB. We work with our subcontractors and we can provide all R, C, D, T components and the standard integrated circuits. The client can deliver only specific and specialized components.